The Division of Agricultural Extension came into being as an independent full-fledged division Since then, it has been playing a pioneering role in the growth and development of extension science with specific reference to research, education and training in extension education. It grew leaps and bounds under the dynamic leaders. The Division has been providing the national leadership role in areas of teaching, research, training and transfer of technology in the discipline of agricultural extension. To carry out graduate, post-graduate education programmes leading to the degree of B. Sc. (Agri) and M.Sc. 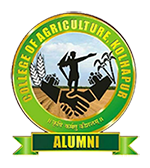 in agricultural extension to meet the trained man-power requirements of agricultural universities, research institutes and other development departments. The under graduate and Post graduate courses taught as a part of academic syllabus.